A tiny crime has been committed! 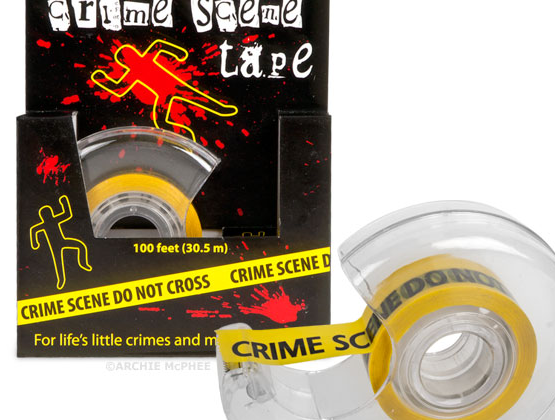 Use this Mini Crime Scene Tape to repair tiny tears or to mark off the scene of tiny crimes. If someone steals the stapler off your desk or forgets to clean out the microwave in the lunchroom, just put a strip of this tape around the affected area to make your point in an amazingly passive aggressive way. Each plastic dispenser comes with 100 feet (30.5 m) of 3/4″ (1.9 cm) wide tape, which should be enough to take care of a miniature crime spree! Illustrated box.